The town of Edremit administratively belongs to the Balıkesir Province. However, because of its location – on the Gulf of Edremit (tr. Edremit Körfezi), which marks the border of Biga Peninsula – it can be counted as one of the cities of the Troad. It is situated in the south-easternmost point of this region. The city bears the name derived from the ancient Adramyttion, but in fact, the ruins of this settlement are located further to the south, in Burhaniye. Edremit is a modern town, where it is difficult to find spectacular sights or tourist attractions. The importance of Edremit to the travellers results from its position at the crossroads of many significant roads. 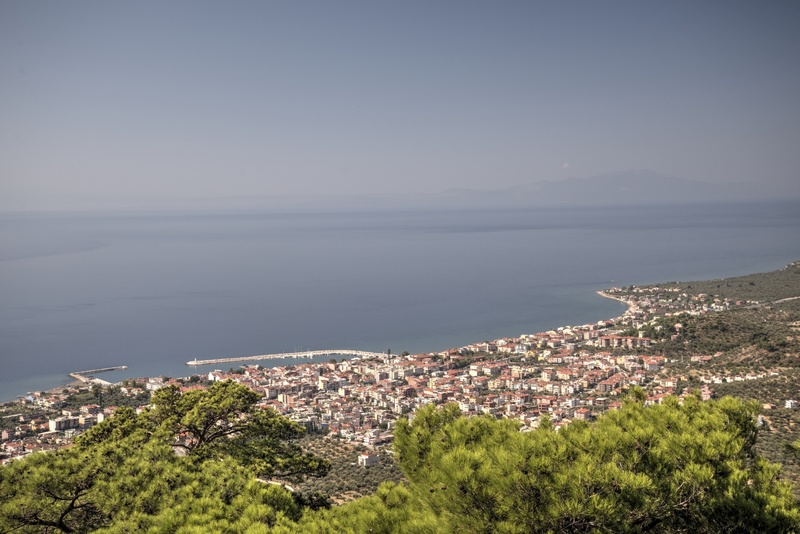 If you are travelling around the western part of Turkey, in Edremit you need to decide whether to go further south along the coast of the Aegean Sea, or turn east, deeper into Asia Minor. The earliest history of human settlement in the area is associated with the nearby Adramyttion. This history is presented in the chapter on the town of Burhaniye. The history of Edremit started only in 1093 when Adramyttion was destroyed during the invasion of troops under the command of the Seljuk general Çaka Bey. The city was rebuilt in a new location in 1109 by the Byzantine commander Eumathios Philokales. Emperor Manuel I Comnenus, who reigned in the years 1143-1180, strengthened the city in the face of the growing threat of the Turkish attack. In the 14th century, Edremit was finally conquered by the Turks of the Karasid dynasty (tr. Karesioğulları). They formed a small independent state in the area of the current provinces of Balıkesir and Çanakkale. Soon afterward, during the reign of Sultan Orhan, Edremit became a part of the Ottoman Empire. If the value of tourist destinations could be judged by the number of brown signposts indicating their location, then in the case of Edremit, the priority would belong to a sanctuary called Üçler Dede Türbesi or the Tomb of Three Grandfathers. The place is exactly what its name indicates – the burial place consisting of three tombs. The whole complex is very modest and tiny, as if all the financial resources have been allocated to the signposts, and it should be considered only as a local curiosity. A much more attractive place (on the Edremit scale) may be the Ethnographic Museum (tr. Ayşe Sıdıka Erke Etnografya Müzesi). It operates in a restored house from the Ottoman era, on the Boulevard of Azerbaijan (tr. Azerbeycan Bulvarı), near the coach station. The facility presents a collection of old photographs of the city, a few traditional costumes, and everyday objects. The museum is open daily, from 8:00 am to 6:00 pm. The second museum in Edremit is the Museum of Olive Oil Production (tr. Edremit Evren Ertür Tarihi Zeytinyağı Aletleri Müzesi). It is located outside the centre of Edremit, on route E87, in the direction of Akçay village. The exhibits include a variety of devices used for the production of olive oil, from ancient times to the present day. They have been collected by Ertürk family that has been manufacturing olive oil for over 40 years. 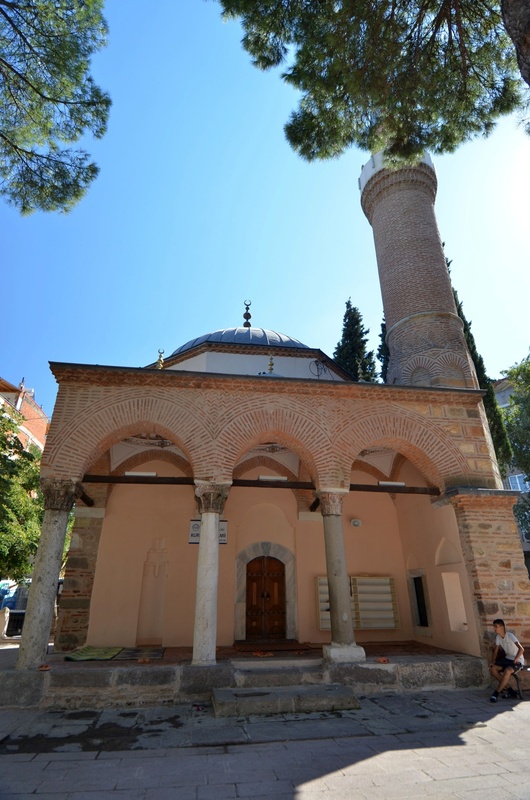 The oldest building in Edremit is the Lead Mosque (tr. Kurşunlu Camii), built in 1231. It is located on the Lead Boulevard (tr. Kurşunlu Bulvarı), in Kapıcıbaşı district. It is a simple building, covered with a single dome, built of hewn stones. The columns in the Corinthian order that support the arches of the narthex are particularly noteworthy. They were, most likely, collected from the ruins of ancient Adramyttion. Another curiosity comes in the form of two ostrich eggs, hanging inside the mosque, for no apparent reason. Another historical building in Edremit is Tahta Mosque, standing on the road in the direction of Akçay, in a suburb of Kadıköy. This wooden structure was moved here from Kızılcabayır village, located in a remote Çorum Province. A hill known as Ülkü Tepesi rises on the eastern side of the town. There stands a monument to the first president of Turkey – Atatürk. Apparently this is the highest monument of its kind in the country, but any such claims should be treated with suspicion in the case of Turkey. The centre of Edremit is located on the east side of the route E87. Because there are relatively few places of interest in the centre, we discourage driving into the heart of the city. Although it is inhabited by only 55,000 people, there is heavy traffic, and traffic jams occur frequently. The very center of Edremit is situated near Menderes Boulevard, where there are many shops, restaurants, bank branches, ATMs, and a post office. The biggest shopping mall – Kipa AVM – lies on the west side of the city, on the route E87. By car: Edremit is situated on the crossroad of E87 and D230 roads. E87 road connects Çanakkale (in the north-west, 130 km) with the cities situated to the south, including Burhaniye (17 km), Ayvalık (45 km), and Izmir (190 km). To the east of Edremit city centre, D230 branches of the E87 route, taking the travellers to the east, to Balıkesir (86 km). By public transport: some long-distance coaches start from Edremit coach terminal. They travel to many cities in Turkey, including Ankara, Bursa, Çanakkale, Istanbul, Izmir, and Manisa. Minibuses also depart from this terminal to many towns and villages situated on the Gulf of Edremit, including Akçay and Altınoluk. By plane: Edremit Airport (tr. Edremit Körfez Havalimanı) is situated in Bostancı district, to the south from the centre. There are daily flights to Ankara and Istanbul. Adramis Thermal Hotel – equipped with a sauna, swimming pools, and a Turkish bath. Entur Thermal Hotel – slightly cheaper, also with swimming pools and a spa.